Winner of the 7th Joseph Joachim competition 2016 in Weimar/Germany - Aris Quartett Homepage! 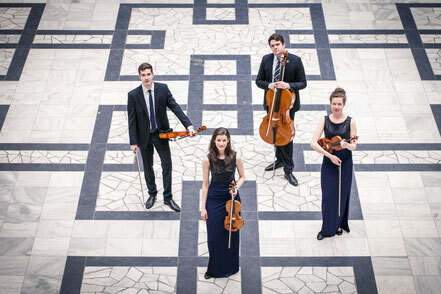 The Aris Quartet won the 7th International Joseph Joachim competition 2016 in Weimar, Germany. The young musicians has been awarded First Prize as well as all four special prizes of the competition!